Much like the UGG brand, California is versatile. The coast is less than a day’s drive from the Sierra National Forest, which serves you a much different climate than the misty beach. And our product can withstand the beating of the ocean’s waves along with the frigid temperatures and slippery slopes in the mountains. A few months back, we took you surfing along the California coast. 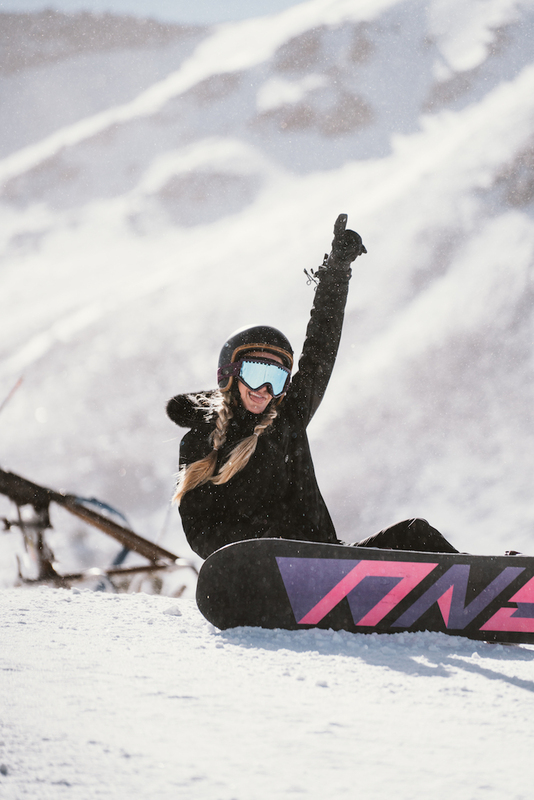 And now, we headed to Mammoth Mountain, located in the Eastern Sierras to explore snowboarding with Hanalei Reponty. If you take a quick look at Hanalei’s Instagram, you’ll instantly see she’s a surfer babe at heart. 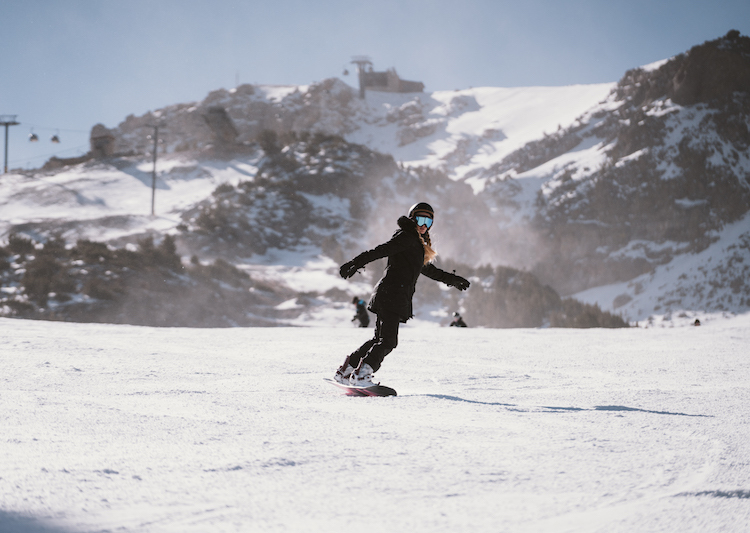 But what you may not know, is that she loves snowboarding just as much as surfing, and the two sports have much more in common with each other than you may think. Growing up on a small island like Tahiti, we didn’t come around snow very often, but my family and I used to take trips to the South Island of New Zealand where my Dad taught me how to snowboard and obviously having surfed my whole life, I started snowboarding and instantly loved it. I think that was a really good parallel for us, just rushing down the mountain and having a board strapped on to your feet was an awesome feeling. How does snowboarding compare with surfing? I think it’s a really similar feeling of being surrounded by nature and the feeling of solitude. When you’re gliding down a mountain or a wave… it gives you the same energy, feeling of happiness, and adrenaline. What do you feel when you’re in the mountains? A sense of serenity. I feel like when you’re in the mountain you can truly feel at peace. I breath better when I’m in the mountains and I just feel very lucky to be in such a beautiful environment. Do you feel like California has influenced your approach to fashion? How so? Totally. I think that California and I have a love affair with the beach, and it reflects in our every day. Like for example, I never wear heels, but I love walking around and being able to go barefoot at the beach, but at the same if I have to wear a dress at night I can. It suits my personality, the diversity and versatility of California, and at the same time allows me to be very chill and relaxed, where I can wear denim and a simple cotton top every day. 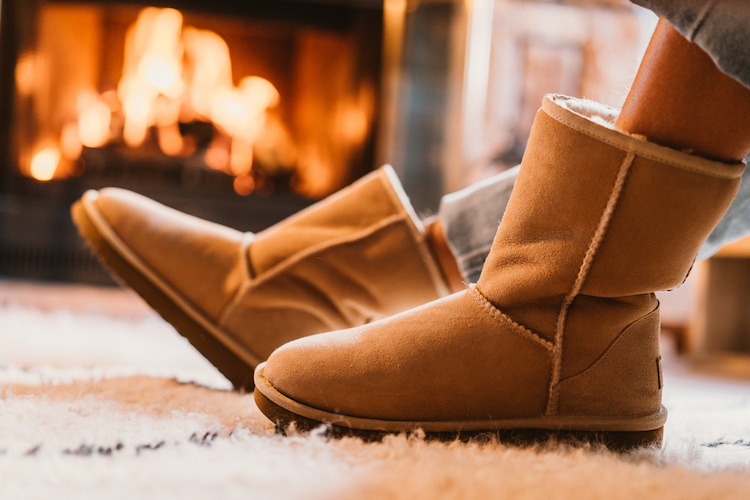 What attracts you to the UGG brand? Versatility and integrity. It’s a very strong Classic brand that has really good quality products that allows the person wearing them to go and pursue their dreams. Whether it’s hiking, being on the beach, in the mountains, or surfing, they just want to make your experience better.